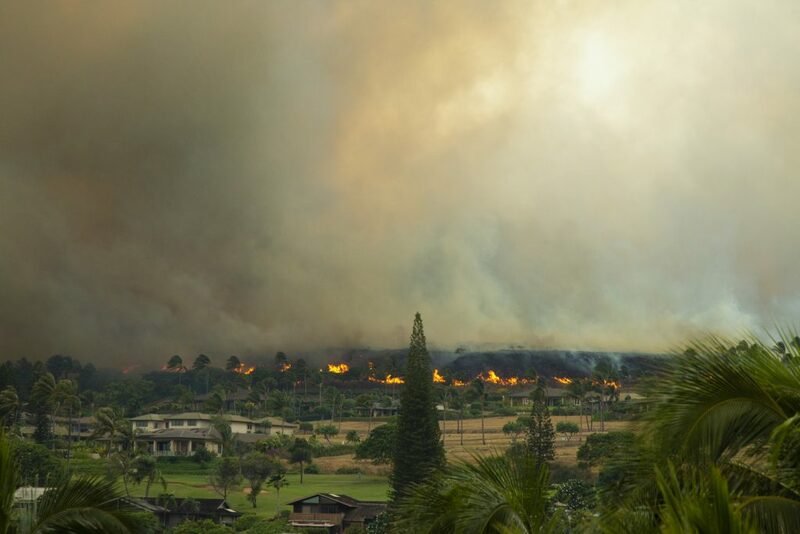 KAUAʻULA VALLEY FIRE: The fire that started at Kauaʻula Valley burned a total of 1,500 acres, and damaged or destroyed 21 residential structures and approximately 27 vehicles. There was also one civilian injury of a female resident who was flown to Oʻahu for treatment of burns she sustained to her legs and arms. 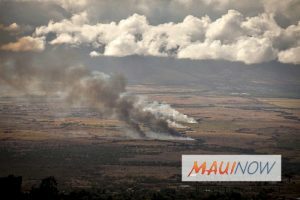 According to an updated department report released on Monday evening, fire officials say the fire was reported at 12:45 a.m. on Friday, Aug. 24, 2018 in the are of Kauaʻula Valley and Punakea Loop. 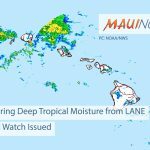 Maui Fire Services Chief Rylan Yatsushiro said the first units on scene reported “a well established brush fire that was spreading rapidly due to very strong and swirling winds associated with the impending weather,” from then Hurricane Lane. Along with fire crews already positioned in the Lahaina area, several more were called in from other districts on the island of Maui. 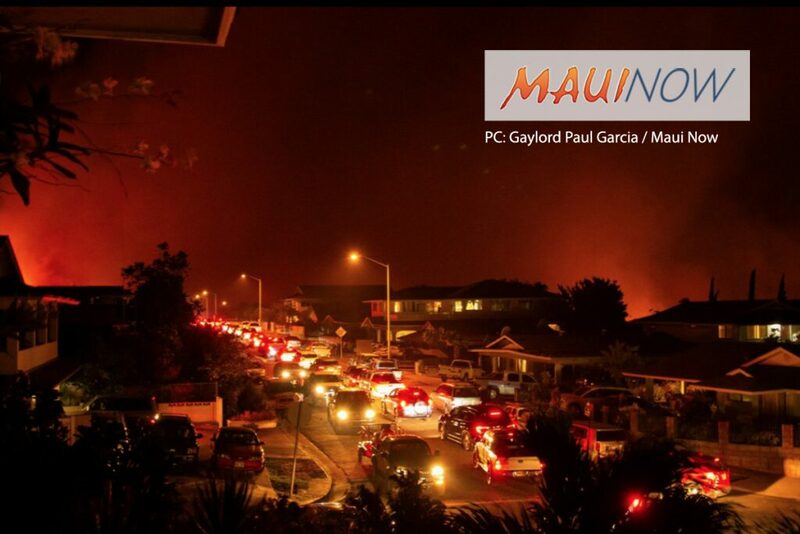 “Maui Police tirelessly worked to evacuate all civilians in the path of the fire. Well over 100 homes needed to be evacuated. A shelter set up at Lahaina Intermediate School in preparation for the hurricane also needed to be evacuated and relocated to the Lahaina Civic Center,” said Yatsushiro. Fire officials say that currently, the fire is considered 100% contained with crews making continuous checks, assuring the perimeter of the fire is secure. MAʻALAEA FIRE: The Kauaʻula fire was the second of three large fires that started over a 24-hour period in West Maui while Maui County was under a Hurricane Warning due to the approach of Hurricane Lane. 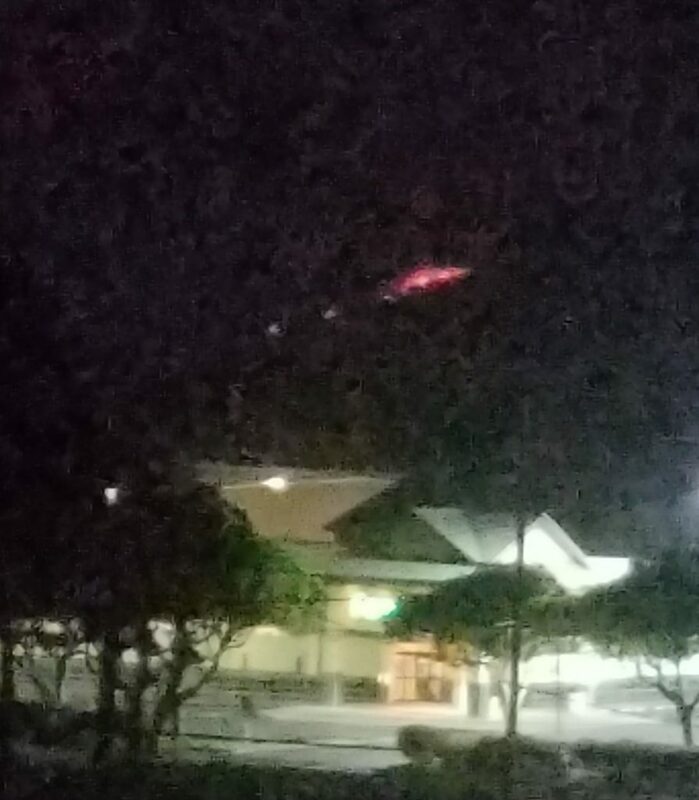 The first fire was reported three hours earlier in Māʻalaea at 9:45 p.m. on Thursday, Aug. 23, 2018 on a mountain ridge fronting the intersection of North Kīhei Road and Honoapiʻilani Highway. A Battalion Chief on scene noted the location of the fire was over a mile up the hillside and inaccessible to crews at the time. Fire crews monitored the blaze with plans to address containment as daylight and weather allowed later the next day. “Eventually, the fire was controlled without further action probably due to rainfall,” said FSC Yatsushiro. While the Māʻalaea fire is still considered 100% contained, crews were airlifted to the burn site on Monday to assess and address any hot spots. A total of 30 acres burned and the cause of the fire is undetermined at this time. KAʻANAPALI FIRE: A third fire was reported at approximately 7:30 a.m. on Friday, Aug. 24, behind the area of the Lahaina Civic Center. The call came as crews at the Kauaʻula fire were reportedly making significant progress at containment. 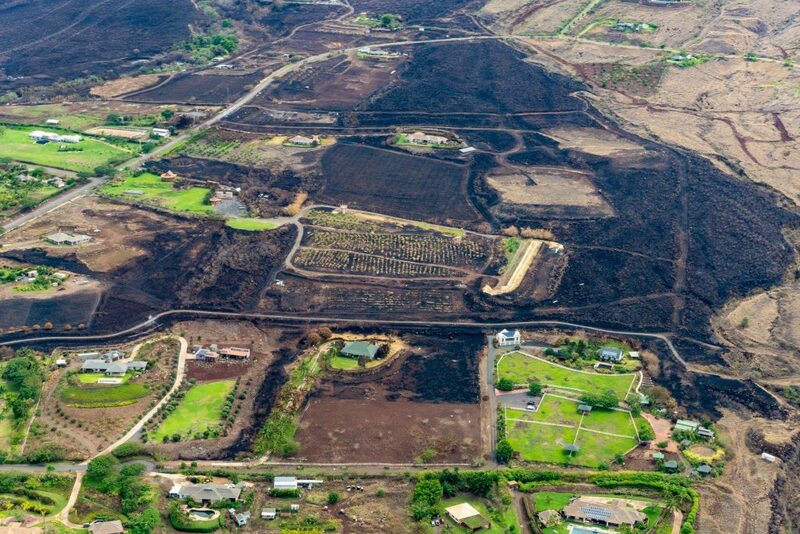 This third fire was also fueled by high winds and spread rapidly towards Puʻukoliʻi Road, the Kāʻanapali Golf Estates and Kāʻanapali Hillside subdivision. The Maui Department of Fire and Public Safety responded with crews to protect structures in the subdivision, while Maui police worked on evacuating residents ahead of the fire. According to department reports, dozers were used to cut a break around the perimeter of the fire and it was considered 100% contained by early afternoon. 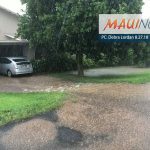 There were no injuries to report, but some external damage occurred at a home in the Kāʻanapali Hillside subdivision. “The Maui Fire Department would like to thank all who assisted in the efforts during these fires. 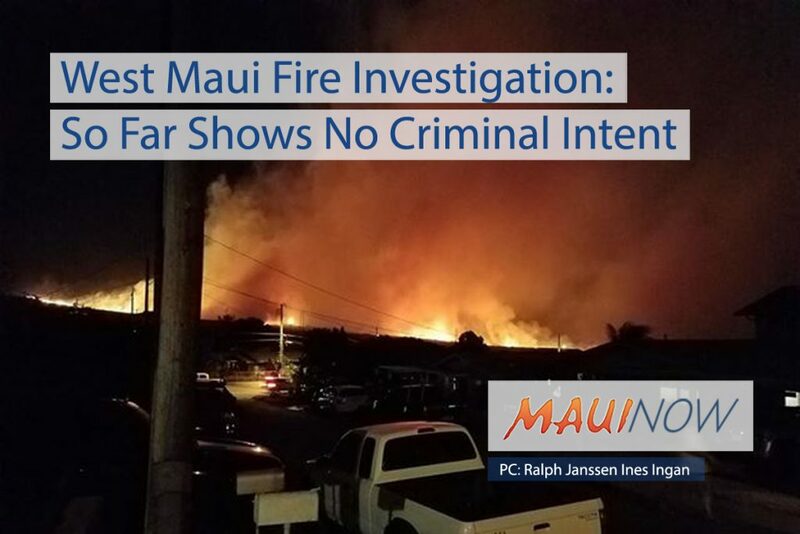 The Maui community is truly an ‘ohana and it was demonstrated in so many ways over the span of these incidents,” said FSC Yatsushiro.